PHOTOS: An Alberta oilsands operation (Photo: Kris Krug, Creative Commons). Below: Calgary Herald political columnist Don Braid, Calgary Sun political columnist Rick Bell, and United Conservative Party Leader Jason Kenney. According to the United Conservative Party and its media echo chamber, there’s “a growing national push to suppress Alberta’s economy.” War metaphors abound. I’m not making this up. The words quoted in the sentence above come right out of the headline on a recent column by Don Braid, the Calgary Herald’s political columnist. The way Mr. Braid seems to see it – judging from his rambling column, anyway, which also spent a lot of time complaining about Canada’s equalization program – governments in Ottawa, Quebec City and Victoria are all trying to drive Alberta into the poorhouse by suppressing our oilsands industry. This tone, though, really originates with Jason Kenney, leader of the Opposition United Conservative Party in the Legislature, and his well staffed and apparently generously financed online anger machine. Mr. Kenney’s strategic brain trust has obviously concluded that perpetually sustained paranoid rage about how the rest of Canada is supposedly mistreating poor Alberta is the way to win elections. Judging from some recent polling, they might just be right. The thing is, though, even if the claim there’s a vast economic conspiracy against Alberta isn’t true yet, it probably will be soon enough – at least if we foolishly follow the strategies demanded by Mr. Kenney and his amplifiers in media. As a public opinion survey released yesterday shows, a huge proportion of Albertans have been persuaded by people like Mr. Kenney, his Wildrose caucus–mates and right-wing media, that global warming isn’t caused by anything we humans do. Barely half of the Alberta respondents to the poll conducted by Abacus Research for a group called the Ecofiscal Commission even believed there is conclusive evidence climate change is a thing! According to the pollster, moreover, only 13 per cent of the respondents thought taking action on climate change should be the top public policy priority for governments. This contrasts pretty sharply with attitudes in much of the rest of Canada, particularly the easternmost parts. If true, these results are bad news for Alberta’s NDP Government, which is trying to sell Alberta’s bitumen but also reduce carbon outputs through other policies while diversifying the economy with the province’s long-term wellbeing in mind. Unsurprisingly, it works for Mr. Kenney and the UCP, which is a big part of why they are so deep into climate change denialism. Needless to say, this means neither Mr. Kenney nor his party and its supporters are going to change their tune any time soon. As for journalists like Mr. Braid, the kind of things they are saying give rise to the sort of conspiracy theories that have divided and bedevilled the United States and given the world President Donald Trump – also an outcome that suits the UCP and its corporate sponsors perfectly well. Which is where the real danger comes in. If the road to victory for Mr. Kenney and the UCP runs through climate change denial, and the likely policies of some future Alberta government turn out to Make Alberta An Environmental Pariah Again (MAAEPA will fit nicely on a green ball cap), the conspiracy theories promoted by Postmedia will quite likely become reality. How else do you expect still-unjailed voters in British Columbia and the rest of Canada, not to mention much of the rest of the world, to react to an apparent determination by the voters and officials of this province to endanger the survival of the planet and directly threaten the economic interests of other provinces? Of course, the pressure is unlikely to be applied by fleets of black helicopters from the United Nations, or even principally by external environmental regulations that are actually designed to win a few more years of social license for bitumen development. Rather, it will most likely come about through Mr. Kenney’s beloved market. 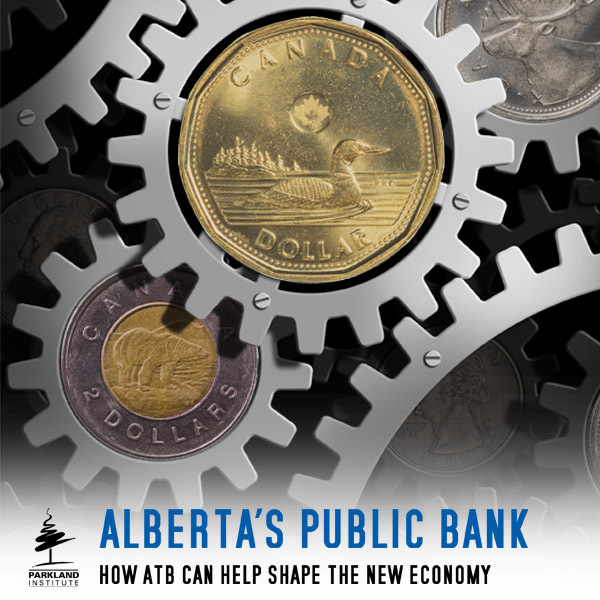 The impact on Alberta’s economy will not be much prettier, especially in the absence of efforts to diversify the provincial economy such as those that are being encouraged by Premier Rachel Notley’s NDP. Renewed status for us as an environmental pariah will not renew the mostly imaginary Alberta Advantage. It will only bring us a world of hurt. A person will fail to understand something when it is in their best interest to not do so…with respects to climate change deniers. First off David I get the impression you believe there is no market for the heavy crude produced from the oilsands. This morning’s market prices. West Texas Intermediate $63.47 USD, Mexican Maya $55.86 USD, Western Canada Select $37.87 USD. Mexican Maya and Western Canada Select are virtually identical grades of crude oil. Certainly Mexico’s closer proximity to the desired market helps! Eco fiscal commision, Danielle Smith had a representative on her show. He feels the present levels of carbon taxes are to low and to meet our 2030 emission targets will require a carbon tax of a minimum of $100 and probably much higher. i just read some very interesting research result in an article in the western producer. A researcher in Saskatchewan has just completed an over 20 year study comparing soil structure and the levels of carbon in conventionally farmed soil and organically farmed soil. I was very interested to see that properly fertilized soil was much healthier from a microbial standpoint and was also higher in carbon. Organically farmed soil was depleted of both nitrogen and phosphorus. The reason I mention this is that extremely high carbon taxes will greatly increase the cost of fertilizer and compromise the ability to competitively grow crops in western Canada. Brian, you have mentioned fertilizer before, and I keep meaning to ask for an explanation for the connection between fertilizer production and greenhouse gases. My mind is open to the idea that fertilizer production should have the same carbon tax exemption that exists on farm fuel since we need both to feed the planet. First, though, I would like to be reassured that this is not the same kind of ‘sky is falling’ argument we heard when the carbon tax was first implemented. Terrorists seem to like fertilizer, so I can see how there are some hydrocarbons in there somewhere. Fertiliser is essentially made by burning Natural Gas in Nitrogen. Methane is the feedstock, in other words, so you have to account foe the emissions in the extraction and transport of methane, much of which is methane itself, an extremely potent greenhouse gas. Hi Farmer Brian. I read your comments, and found myself a bit puzzled. I didn’t see anything in DJC’s blog about crude prices; he was talking about Toastmedia’s corporate policy of “Viewing with Alarm” anything that might adversely impact their advertising revenue from Big Business. Likewise their status as willing dupes of Big Oil. WTI is a light, sweet crude, a good source for gasoline and diesel fuel. Western Canada Select is, I think, “synthetic” crude from “upgraded” bitumen. The stuff sells cheap because nobody wants it if there’s better stuff available. Bad news–Bahrain has just announced the discovery of a new oil field off-shore. It’s shale oil, but do you think Bahrain will hesitate to use fracking? What’s that going to do for bitumen demand? Your reference to Canada’s_Ecofiscal_Commission was a bit confusing. I presume Miz Smith invited somebody to make fun of their policies, outlined here: https://ecofiscal.ca At a glance, they seem to have their heads on nose-forward. And “$100 per tonne” is commonly accepted as a target that will MAKE people change their ways. BC started their carbon tax in 2008 or so; their economy GREW, by Stats Canada figures, while all other provinces shrank. “Polluter pays” works. The story from the Western Producer seemed out of place; and when I found it, it sure seemed to have more questions than answers. The commenters on the web page thought so, too. If you meant “carbon tax increases prices,” I guess that’s right. But I wonder how much carbon there is in a tonne of bulk fertilizer? Also, farmers still get tax-free purple gas; there’s no reason a similar deal couldn’t be made for anyone with a farm registration number (meaning no disrespect; 3 of my uncles were farmers). As for depleted soil from one method of “organic” farming, I”m not qualified to comment. I found this article on Resilience.org web site; there are others. Oh yes; Don Braid’s column. 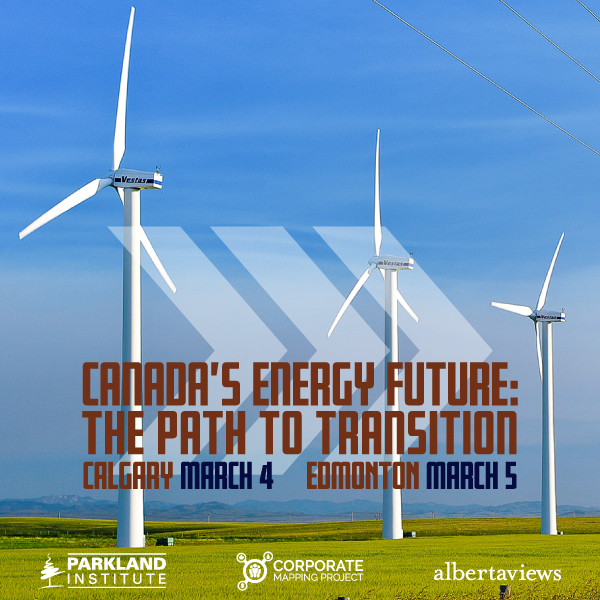 CEPA = Canadian Energy Pipeline Association = press flacks for pipeline companies. Really, now, what did you expect them to say? Mike, I did read about the discovery of oil in Bahrain, 80 billion potential barrels. You obviously believe we should leave Alberta’s bitumen in the ground. Since 80-90% of C02 is produced when oil is burned say in your car or for heat or to make plastic, does it matter if it comes from Alberta or Bahrain? It doesn’t to the environment but it does to the workers, businesses and governments in Canada. I get the impression from environmentalists that they believe if we don’t produce it that the demand for oil will decline. If you want the production of oil to decline reduce the demand! Actually “Miz Smith” had someone from the Ecofiscal commission on her show not someone making fun of their policies. As for your assertion that BC’s economy grew while others shrank. We had a recession in 2008 and in the aftermath I believe most economies experienced growth, as have BC’s C02 emissions from 2012 onward. If you look at a graph of BC’s C02 emissions, they were trendinding downward slightly in 2006-2007, took a good sized dip in 2008-2009 due to the recession and then from 2012 onward have trended up. I definitely agree with you about protesters going after the demand side of the fossil fuel equation. Pipeline projects make easy targets, but protesters would be better off targeting people’s energy use – especially the wasteful use. At the end of our community league meeting last week I saw a fellow get in his car and drive home – a distance easily less than 500 metres. With regards to bitumen, Graham Thompson from the Edmonton Journal made a chilling comment on the radio once. Apparently it has been calculated that. from coming out of the ground to its release from the tail pipe, fuel derived from the oil sands has a 17% higher carbon dioxide impact than conventional fuel. Unfortunately I have not been able to find the same claim with a quick google search to look at the very important details, like how far the conventional fuel has been shipped. If it is true, however, it does mean, unfortunately, that fuel consumers can get a significant GHG reduction painlessly if they choose a non-bitumen fuel source. Finally, with regards to BC’s CO2 emissions, it appears the province’s total emissions have increased, but the per capita emissions have decreased. Presumably the decrease has not been enough to offset the growth in population. It is mind boggling, indeed, as to how, still, the effects of climate change are being denied. Even under Alberta Conservative rule in 2006, “the province placed a moratorium on new water licences for the Bow River and several other rivers.” What part of this would Kenney, et al, not understand? Would the proverbial “2×4 between the eyes” moment be realized when Alberta’s water supply becomes tighter yet? Yes, you do have to love the mindset of climate change deniers. They are happy to trust mainstream science when they take the medicine their doctor prescribes, fly in a plane, or trust a GPS navigation system. For the future of the planet, however, they would sooner trust their conservative politician or their newspaper columnist. To be consistent, maybe the next time they get sick they should have Jason Kenney concoct some medicine for them, or take their next holiday on a plane engineered by Lorne Gunter. In Vancouver? On their bicycles, more like. I read the column by Mr. Braid and was quite disappointed too. Even though he is somewhat long in the tooth and I don’t sense he is always making an effort, he can still be thoughtful and insightful at times. However, I don’t blame him entirely for that unfocused rant. He is a survivor of all the downsizing at the Herald/Journal/Sun aglomination, so I think he knows what his bosses want and sometimes I think he writes accordingly. If this is the case, the Herald is doing a real disservice to their readers. We live in a bit of a bubble in Alberta and it is important to really understand what is going on in the rest of the world. We have to deal with it, rather than just rant. There are important short term, medium term and long term issues our energy industry faces, and only one of those categories will benefit from having an additional pipeline to BC. Perhaps this is one of the stages of grieving for our lost boom or our less promising energy future. Certainly denial is one of the stages, perhaps anger is also one. I suppose this would certainly explain why Kenney is both so angry and dismissive of the forces in the world that challenge our energy industries dominance. He was not successful in becoming a big fish in a big pond, so he has come back to try become a big fish in a small pond. However, it is unfortunate that with all his years of experience as a career politician in Ottawa he does not have more insight into how the rest of the world thinks about the energy industry and how to improve the situation, instead we just get rants, anger, bluster and grumpiness. If he were to get into power, he would certainly present an image of a climate change denying pariah to the rest of our country, which if anything would hasten our energy industry’s demise. Of course the ranting and raving might work politically, which is probably why he is doing it. However, like Trump who still hasn’t built a wall or been able to ban muslims, those who rant and rave tend not to accomplish much, except to continue to rail against their imagined enemies and propagate conspiracy theories that become increasingly more outlandish and out of touch with reality. At this time Alberta needs a reality based government, lets leave the ranters and ravers to the US, they have enough self created problems. We do not need to go down the same path. Yeah, so you’re saying that we can all see it but that Rachel is trying to diversify us away from a post petro-hell. No, she is not. Nor is her government any better for Alberta than the UCP. It’s just a different sort of bad. They both are irresponsible and unrealistic, both based on lies and crazy assumptions. It’s one thing to argue with the typically ignorant and slow-witted citizen here but when the self-proclaimed progressives claim, “oh yeah! … we knew that all along, but our team is still better” it becomes more than a little ridiculous. What specific policies do you think the NDP should be following that are in any way consistent with re-election. Because the UCP will undo Every Single Thing the NDP has or will done if they win the next election. Well DAG, the first policy is honesty. Second would be factual integrity. Notley is crying about how her policies provide a bridge to solutions (or at least public acceptance) to imminent environment and climate catastrophe while at the same time conducting real-world, real-time actions that solidify, enhance and promote the very same industry, for decades to come, that is the prime cause of the catastrophe in the first place. 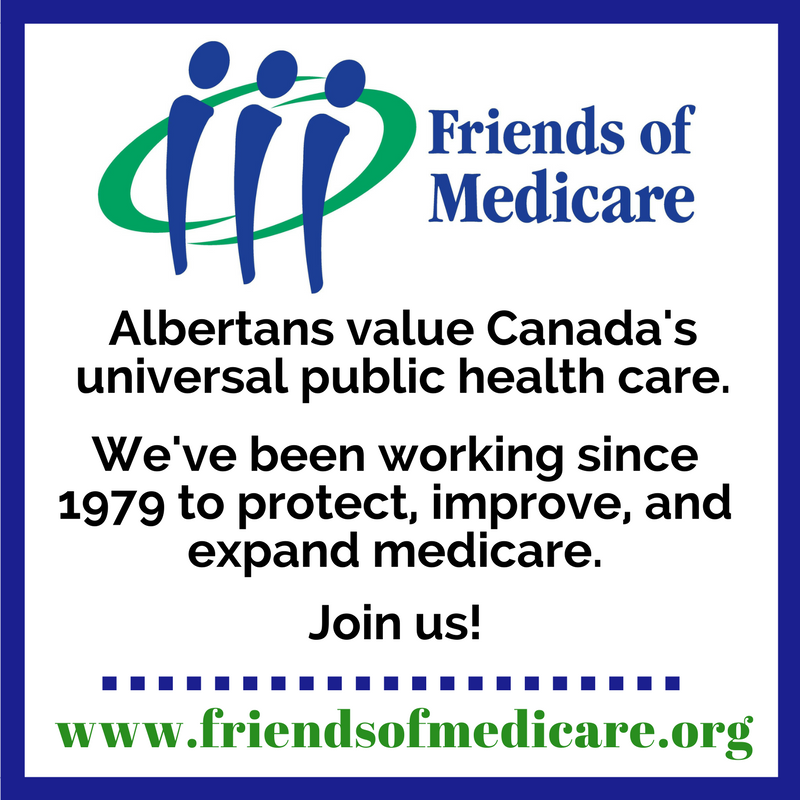 Your logic to conclude outcomes under a UCP gov’t are fatuous. If the UCP are such great enablers of the petro-industry then there will be lots of jobs, hence gov’t revenue. If they are as full of s*#t as they appear, they’ll never get elected. The only real distinction between the Albaturda NDP and UCP are the color of their sails; they are both heading in the same direction. Agreed. Notley has been throwing billions of dollars in subsidies at the fossil fuel industry. Her anti-science “climate change plan” locks in oilsands expansion and rising emissions for decades — unless the global market intervenes. AB is in for the biggest crash yet. As an “environmental pariah”, a Jason Kenney govt will be isolated and impotent. With her undeserved credibility on the climate file, Notley will probably get her pipeline but lose the election — whereupon she may join Alison Redford in Kabul. It looks like Notley has Trudeau’s number. Count on him once again to buckle to the oilsands industry this week. The NDP pose a far greater threat to Canada’s climate targets than Kenney could ever hope to have. Send the turncoat Notley and her New Denialist Party packing, and hope for better in 2023. Rachel Notley gone, and no long term progressive advancements to look back on..
Adios Rachel Notley….see you in hell….Hello Jason kenney..or should I call you Lucifer…. Has been throwing billions in subsidies? Evidence, please. The Province of AB contributes $0.00 to equalization payments. Provinces don’t make equalization payments. Equalization payments are paid out of general tax revenues — not by provinces. All Canadian taxpayers and businesses fund equalization payments. Ontario and Quebec taxpayers contribute 58 cents on the equalization dollar. Ontario taxpayers alone contribute 39 cents. (Ontario taxpayers contribute far more than their province receives.) AB taxpayers contribute 16 cents. Braid doesn’t usually pander to UCP low-information voters. Predictably, readers responded in full fury. The Postmedia empire, the oilsands industry, and Notley’s NDP can’t collapse soon enough. Sir: I rarely agree with you … but on this, I need to make an exception. Equalization is a federal programme, mandated under the Constitution, and not one thin dime of Alberta’s government revenues goes into it. Ranting against equalization is a classic right-wing neo-con strategy to distract from the real issue: we receive no monies from it because of our unused fiscal capacity, i.e. lowest taxes in the country. Geoffrey, let’s assume the numbers you quote are correct. You forgot to look at population. Ontario(using statistics Canada numbers) has 38.66% of Canada’s population contributes 39 cents. Quebec has 22.87% of Canada’s population but only contributes 19 cents. Then we have Alberta, only 11.54% of the population but contributes 16 cents. So on a per capita basis, Ontario is basically even. That means for every dollar Ontario contributes Quebec contributes 83 cents and Alberta contributes $1.39! This all comes down to the fact that Albertan’s on average have higher wages and therefore on a per person basis pay more federal income tax. It is certainly a fact that Alberta contributes more on a per person basis to the federal coffers than any other province and gets no equalization payments back. Geoffrey if I am a “UCP low-information voter” and I found a very obvious error in your rant what does that make you? Brian, anyone calling you a ‘low-information voter’ does so at their own peril. Nevertheless, Geoffrey’s point is valid; if people whose only information source is the Sun and Rebel Media were asked to sign a petition demanding Joe Ceci stop writing cheques to Ottawa, a fair number of them would probably sign it. Twenty or 40 years from now, when political historians look back on the 4-year aberration of the Alberta NDP regime of the late ‘teens, what will strike them most? Will it be the swiftness and brutality of the restoration that followed? Will there be admiration for managing to implement overdue modernization in many areas of policy, making the province less of an outlier? Will their commentaries highlight the paths not taken – because of excessive caution, misreading of their mandate, or genuine constraints of the local political culture which limited the window of possibility? Or will they be struck by a sense of some level of tragedy? In particular, I mean the tragedy of bad timing: being too late for moderate social democratic measures to be effective because the years of easy oil revenues were over, but being too soon because their interregnum came before there was wide enough public awareness of the need for radical decarbonization of the economy. There will be an interesting dissertation topic for someone to compare / contrast the legacies of 1-term NDP provincial governments: how will the Alberta case stack up against BC (1972-75), Ontario (1990-95) and Nova Scotia (2009-13)?